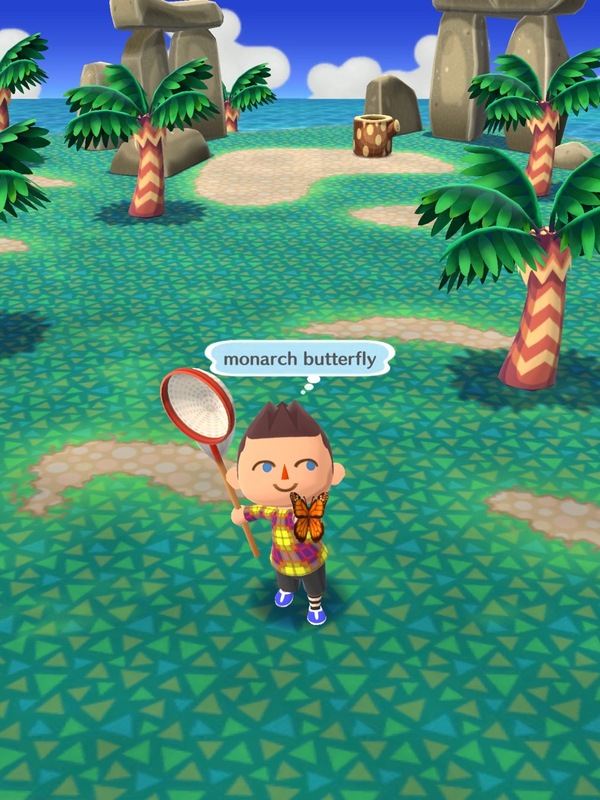 You’ve settled down in Nintendo’s Animal Crossing Pocket Camp (Free) and now you’re trying to figure out a good rhythm. This guide is here to help illuminate all the daily tasks, goals, and reminders so you can get to that end-game with as few bumps as possible. If you’re just stumbling across this guide, it’s a good idea to first read our beginner’s guide which covers some of the basic strategies of the game first. The early game is characterized by many opportunities to earn Bells, Leaf Tickets, and crafting materials. But that phase will quickly pass and you’ll need to focus so you don’t get bogged down. Material shortages, crafting timers, and level caps are the major issues you’ll run into, and since we can’t do anything about the timers, avoiding shortages and unlocking the level caps are our primary concerns. You have been focused on Cotton-rewarding animal visitors so you can craft all the first-tier amenities as recommended in TouchArcade’s Beginner’s Guide, right? The first-tier all require Cotton to craft so you’ll be running out of this material frequently if you don’t court visitors who reward it. Crafting these initially unlocks the first level cap on your visitors while crafting them up to Level 3 unlocks the second-tier of amenities. The second-tier of amenities raises the level cap again, this time to level 15 (which takes much longer to hit). But the crafting requirements for the second-tier (and the later third-tier) amenities require a variety of materials so it’s time to diversify away from Cotton. Find a balance of visitors in your campsite that offer Cotton, Wood, Steel, Paper, and Preserves. It’s also time to pick a couple of personality types and focus on them exclusively. Pick two from the four types (Natural, Sporty, Cool, and Cute) and only invite visitors that match your chosen personality types. Focusing on just two will make it easier to acquire the hard to get Essence crafting material. Essences are linked to personality type and you can only earn Essences through leveling up friendships (and the occasional Timed or Stretch Goal). Since the higher level amenities require these Essences, you’ll have to focus on specific visitors or else find yourself unable to craft what you need, resorting to spending Leaf Tickets to make ends meet. By focusing on just a set of visitors, you’ll level these friendships faster, generating more Essences. Higher level friendships also provide greater rewards in general which helps offset the increased crafting demands of the mid- and late-game. Picking two personality types for visitors means you’re going to focus only on the second-tier amenities of these chosen personality types. Definitely craft the first level of all four varieties so you unlock the level caps but then continue leveling up only the amenities of your chosen personality types. While the first-tier of amenities had 3 levels, the second-tier has 5. Trying to level all four second-tier amenities will cost too much for you in Essences and materials. You’ll be left with nothing for when you need to start crafting the third-tier amenities (which require two kinds of Essences versus just one for the previous tiers). If you focus, you’ll have what you need when you need it. Just to recap, to avoid future issues, what you want in your campsite are: all second-tier amenities to at least Level 1, two personality types to focus on, and a balance of visitors who provide all five of the main crafting materials. You can then proceed to work on leveling up the visitors and amenities of your chosen personality types. What is the best to play Pocket Camp to maximize your rewards? The Hourly Schedule: Visitors to your campsite (those animal friends you’ve invited to hang out at your campground) refresh their ability to talk and make requests every hour or so. Never miss an opportunity to chat these friends up. It doesn’t just increase your friendship level with them. It also provides opportunities for random rewards (Bells, crafting materials, and even Essences are possible). While it doesn’t look like much, you’ll be earning Bells and materials at no cost so be friendly to your campers. The Three Hour Schedule: Your typical cycle will revolve around the movements of animal visitors in and out of the locales on the map. Every three hours, new visitors will appear. They’ll have new requests to reward you for as well as new things to talk about. Completing their requests will reward you with materials and Bells while improving your friendship level. Early on, the requests aren’t too demanding and it’s pretty easy to keep your inventory stocked with farmable items (fish/bugs/fruit/shells). However, at levels 5, 10, and 15, the demands for fish/bugs/fruit/shells increase (as do the rewards). So once you’ve completed their requests and chatted their ears off, your inventory will need replenishing. Pay special attention to harder to farm items like fruit you only have one tree of and Shells. Nothing is worse than being just a sliver away from leveling up a friendship and not having enough Pears or Coral. Something to keep in mind once you get your visitors above level 9 or 10: they’ll start to ask you for rare catches. These are the rare bugs and fish that I consider uncommon (Black Bass, Horned Dynastids, Red Snappers) because I come across them with regularity but the game still treats them as rare. In any case, visitors who ask for these will reward you with full Market Box prices (10x what you’ll sell them out of your inventory for) and you’ll get +3 friendship points instead of the usual +2. Always keep a couple of each on hand once you get visitors above level 9. The Daily Schedule: Everyday you’ll have different tasks to touch base with. The daily Timed Goals should always be a must-do. These are often the only place to earn Friend Powder (I’m not making that up) regularly. You’ll also often be able to earn an Essence with one of the Timed Goals. Checking in at Shovelstrike Quarry at the start of your day will maximize your opportunity to gain entrance to this daily reward. Your real-life friends have to assist you (Tip: do not pay the 20 Leaf Ticket cost of entry. It’s never worth it) so the earlier you get your requests out there, the better your chances. If you like having options for the way your avatar looks, you should check out the Market Place at least daily to see what’s on offer clothing-wise. The shops and items for sale here do rotate throughout the day (they rotate approximately every 6 hours). The Able Sisters (clothes), Tom Nook’s nephew Timmy (non-craftable furniture), and Kicks (shoes and socks) hang out here and offer customization options for your wardrobe. 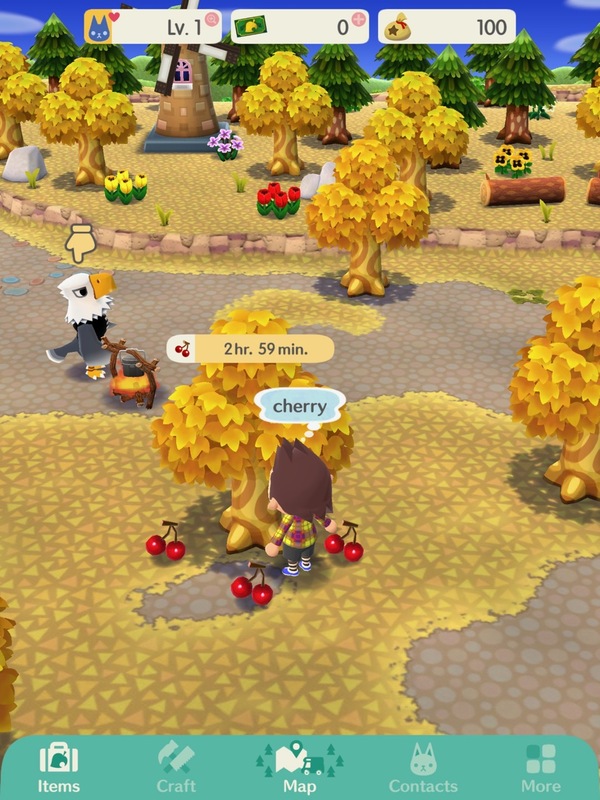 Veteran Animal Crossing players know that somewhere there is a non-fruit tree that will drop a bag a Bells. Up to 1,000 Bells are always waiting for you to shake out on a daily basis. Lastly, if you’ve connected your MyNintendo account to your Pocket Camp game, be sure to check weekly to see if you’ve completed their weekly goals. Completing these goals will reward you with MyNintendo points you can spend for Bells, crafting materials, or even limited edition items (clothes, furniture, etc). It’s not a bad way to make ends meet if you just need another 20 Steel or Wood and I always forget it’s there.